The Data Logger Hobo U-12 offers easy and absolutely reliable recording for applications that need a higher accuracy, better resolution, more storage capacity or USB interface for faster data transfer to a PC. The handheld mini data logger equipped with internal sensors for temperature or temperature and humidity. The non-volatile EEPROM memory protects against data loss in the case of battery failure. The battery condition can be recorded as separated channel. Many event recordings will be stored during data determination (button pressed / not pressed, host PC connected, battery weak). The data loggers are ideal for long-term monitoring in storage rooms, cold stores and refrigerated trucks, laboratory, livestock, etc., the operating ranges are nearly unlimited. The data storages work completely autarchic. That means that no external power supply is needed. Via software (HOBOware Lite 2.7) that is optionally available the memory device will be programmed and read out on a PC (determination of starting time, measurement value storage mode, sampling rate, etc.). The optionally available software is necessary for operation and programming of data loggers. 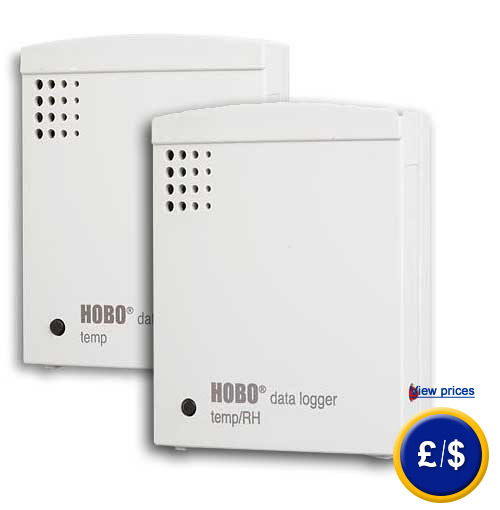 If there are any questions about this Data Logger Hobo U-12 have a look at the technical specification below or call: UK customers +44(0) 23 809 870 30 / US customers +1-410-387-7703. Our technicians and engineers will gladly advise you in all data loggers and all products in the field of measuring instruments, regulation and control and scales. Hobo U12-001 data memory temperature. Hobo U12-011 temperature and humidity. -USB interface cable and software manual included. Easy configuration and determination of logger. 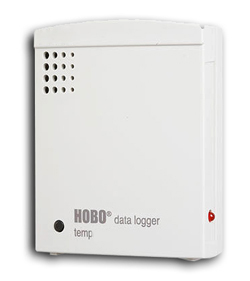 The HoboWare software is needed for logger management, data determination and data analysis of Hobo data logger U-series with USB connection. Owing to USB interface a completely 64 k within 30 seconds is possible. HoboWare supports all loggers of U-series and expands the determination opportunities tremendously. 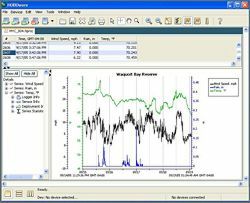 The software kit needed for data transmission from data logger to PC (software, USB, data cable) is optionally available. Attention! : Please order the kit, unless you already have such a data logger with software kit or you need more data loggers, than you need the software kit just ones. This page in German in Italian in Spanish in Croatian in French in Hungarian in Turkish in Polish in Russian in Dutch in Portuguese and in Portuguese .